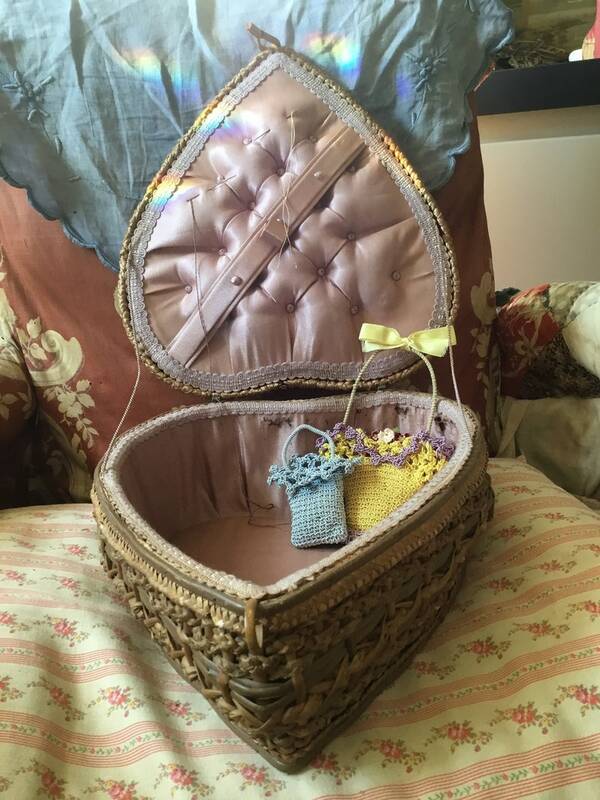 This old sewing basket is just amazing! It’s in incredible condition for its age with just a few small breaks in some of the straw around the top of the lid and some slight tearing of the silk lined interior. These issues don’t detract at all from its beauty or function. It measures 9”x10”x4.5”. There is no marking to indicate where it was made but based on others I’ve seen like this I’d say somewhere in Europe.